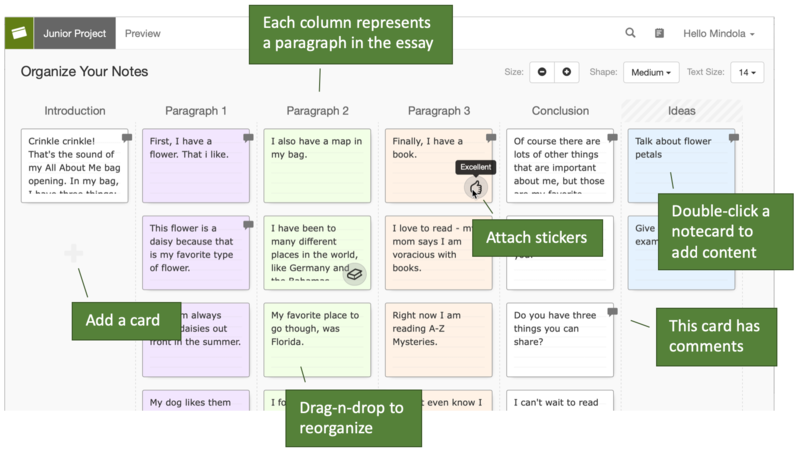 SuperNotecard helps writers organize their stories, scripts and research. We recently introduced a new type of “Junior” project designed specifically for young writers. 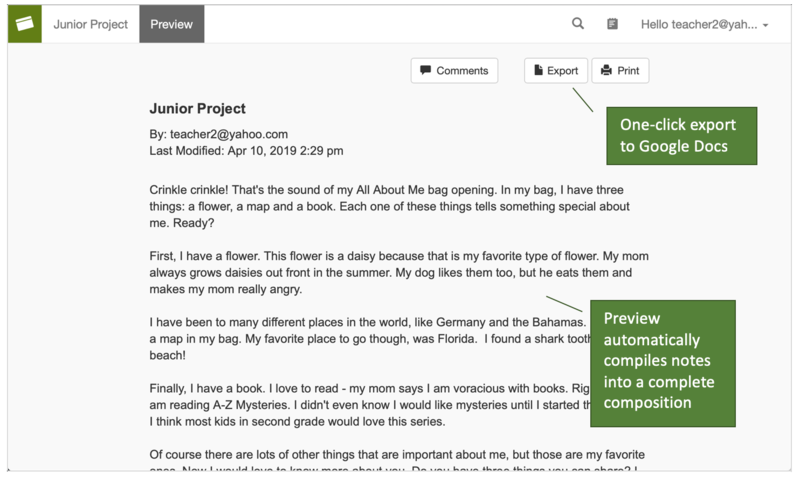 Junior projects have the most important features, add the idea of teacher-built templates, and then hide all of the advanced bells & whistles. Like a normal SuperNotecard project, students write sentences on notecards and organize them on the screen. They assign colors, attach stickers and quickly preview the composition as it takes shape. 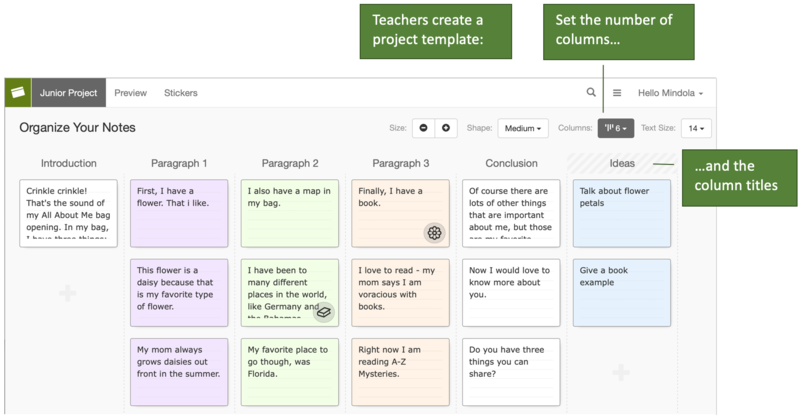 When complete, students can export to Google Docs or share with classmates who can comment on each card. To follow are more details about this exciting addition. Please contact us to learn more about using SuperNotecard in your classroom. The SuperNotecard Junior writing area offers rich text input. Set font and color, add bullets, a sketch, or insert transition words and phrases. Colored backgrounds, stickers, and comments can also be applied. 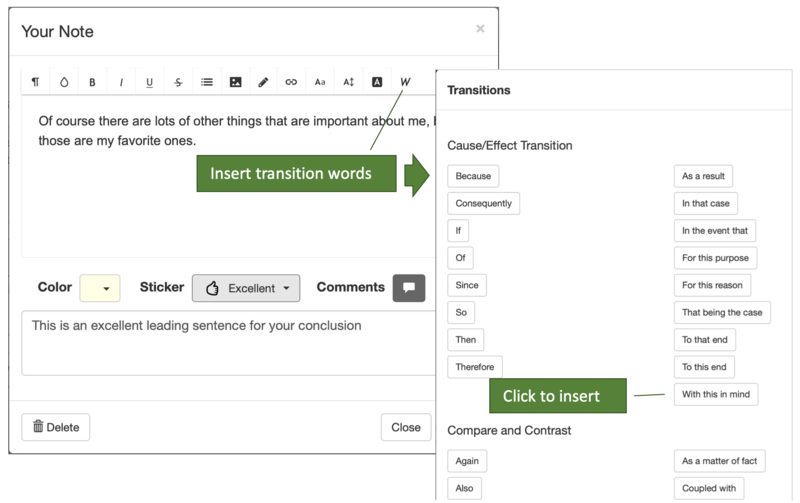 Press the Preview tab to see your essay as it changes through the creation and organization of notecards. Click any sentence to switch back to the relevant notecard. 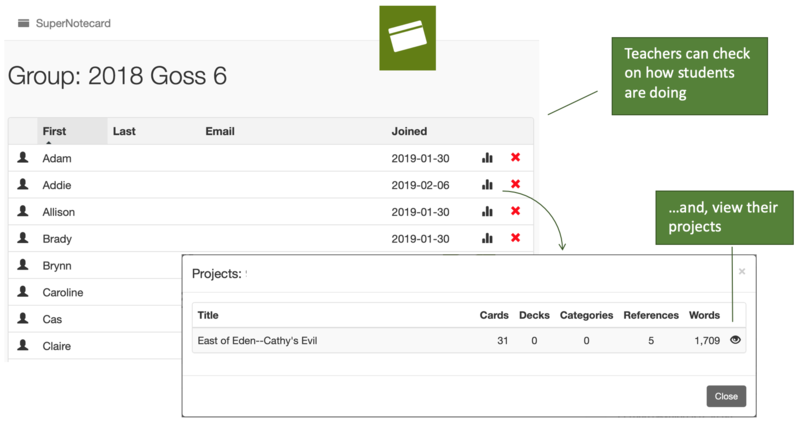 A SuperNotecard Junior project has columns that teachers can pre-configure with labels and an optional ‘no export’ property. Notecards are organized into columns in a Junior project. Since a column is similar to a paragraph, teachers determine the number of columns and assign labels. 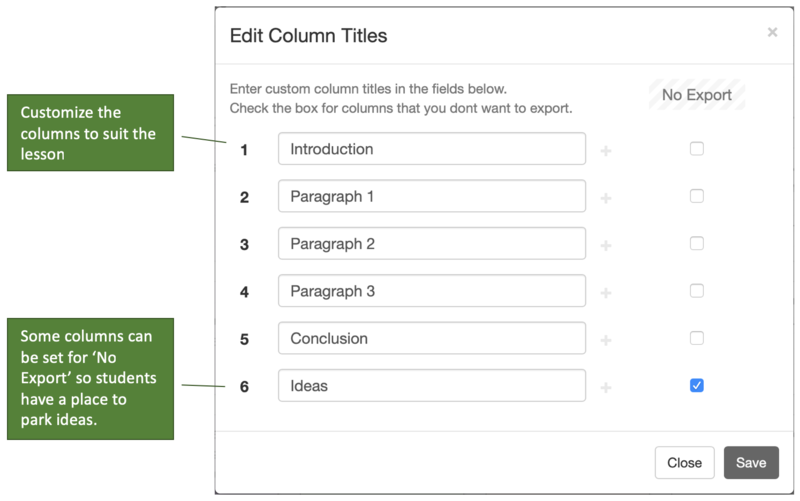 Specific columns can be set as ‘no export’ so that writers have a place to park ideas or record source information. Stickers can be defined with special meaning so students have an easy way to mark notecards that are favorites, contain quotations, or need work. There are many possibilities here. Any project can be copied to your class. 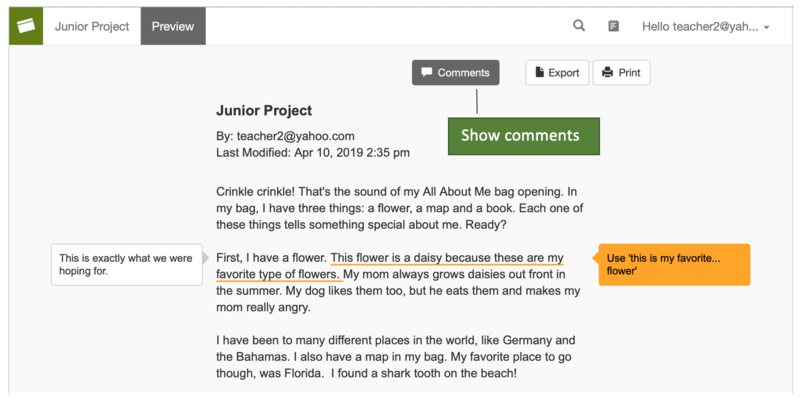 Junior projects are special in that they are automatically added to your students’ project list (rather than an ‘inbox’). At the same time, the column layout and sticker assortment is ‘frozen’ in the copies that are sent to students. 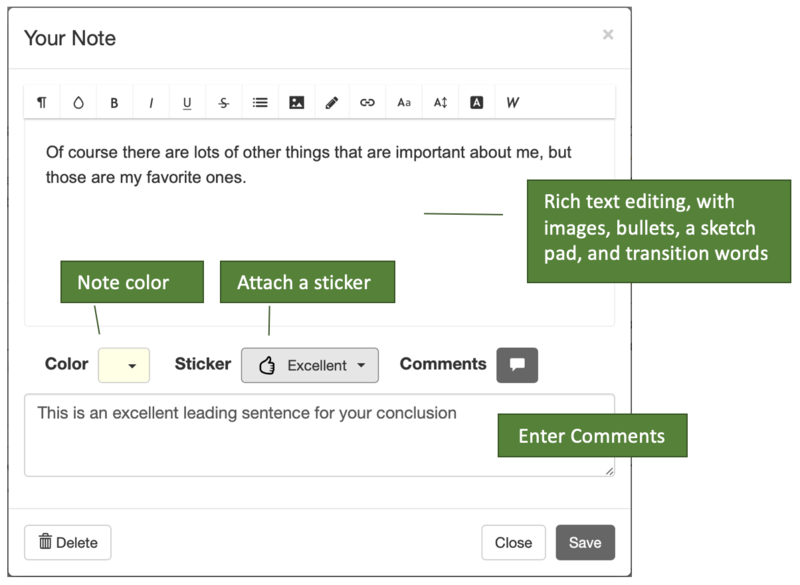 Teachers can always check on their students’ work and load their projects to add comments or assign grades.